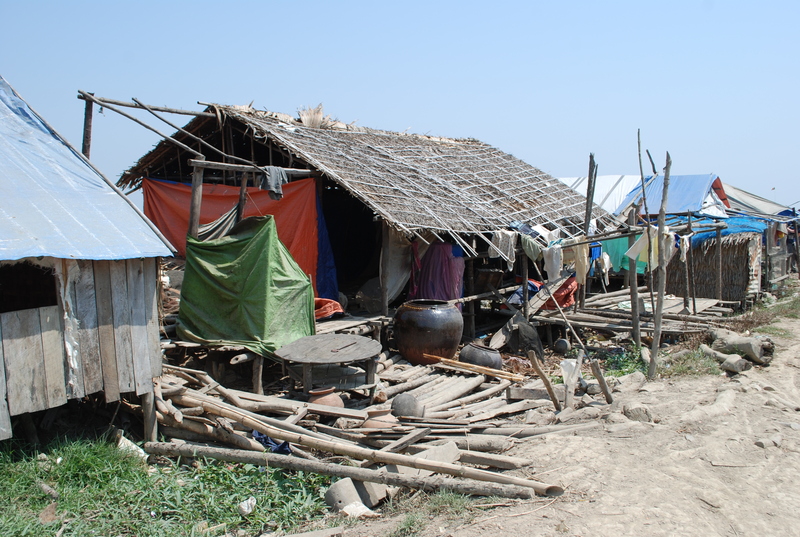 While thousands of survivors of Cyclone Nargis in Myanmar are benefiting from better healthcare and nutrition, complete recovery may be delayed unless livelihoods are restored, warns a survey released on 9 February. The review, the third since Nargis struck in May 2008, killing at least 140,000 people, assessed the needs of people in the worst-affected Yangon and Ayeyarwady divisions between October and November last year. It found that focused efforts were still needed to help people with their livelihoods to restore household self-reliance, even 18 months after the disaster. “Unless livelihood-related needs are addressed, recovery will be prolonged, raising the potential for another crisis,” said the Tripartite Core Group (TCG), comprising the Myanmar government, the Association of Southeast Asian Nations (ASEAN) and the UN, which released the report. This would include “loss of land to lenders, chronic under-employment and economic stagnation”, it warned in a 9 February statement to mark the report’s release. Farming, the main livelihood in Nargis-affected areas, relies heavily on capital and access to credit, but the review said this was in short supply. At the same time, there is a need for investment in rebuilding lives and shelters. “Since Nargis, options for incoming earnings appear to have shrunk, sharply impacting [on] many households’ ability to source capital for the needed rebuilding investments,” William Sabandar, special envoy of the ASEAN secretary-general for post-Nargis recovery in Myanmar, told IRIN. “Credit is scarce, and some households depend on the sale of assets, borrowing, remittances and gifts from family members. Landlessness continues to be a problem, taking account of about 50 percent of the surveyed households,” he said. The other area still needing attention is shelter; Nargis destroyed or damaged almost 800,000 homes. The review said that while 50 percent of shelters were judged safe, more than 80 percent of households said their shelter was worse than before the cyclone. The TCG said the third review was intended to help donors and humanitarian agencies decide where they should now prioritize recovery efforts and assistance. Improvements have been made in child mortality, child nutrition, the availability of healthcare and access to clean water, states the review. More than 90 percent of the 1,400 households surveyed said health personnel and medication were available in healthcare facilities all or some of the time, it said. It also noted that child mortality rates were lower in the most affected townships than in the less affected townships, which it attributed to greater attention from healthcare professionals. Despite these gains, TCG members urged donors and humanitarian agencies to continue their support. The review “clearly demonstrates that the recovery process is moving forward, but also that much more needs to be done in a number of areas”, said Bishow Parajuli, the UN Resident Representative and Humanitarian Coordinator in Myanmar. Our guide to how Brexit may affect the UK government’s humanitarian spending, British NGOs, and the EU’s aid arm, ECHO.